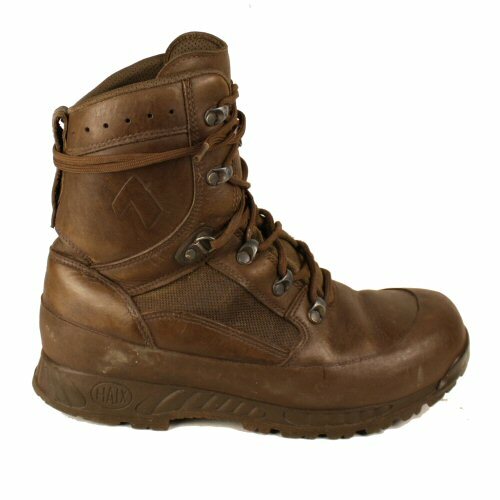 Dark brown leather 'high liability' boot made by HAIX under contract to the UK MoD. 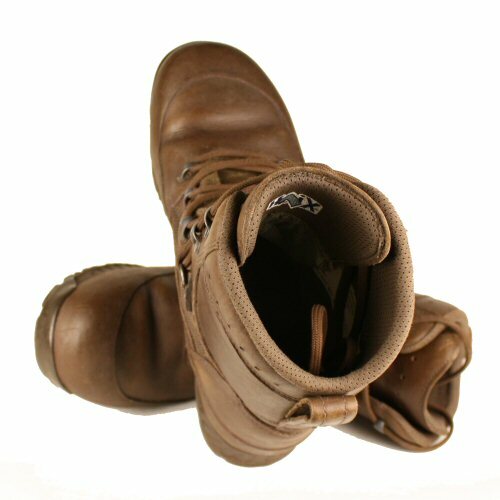 The boot is made from leather with textile foot and leather leg. 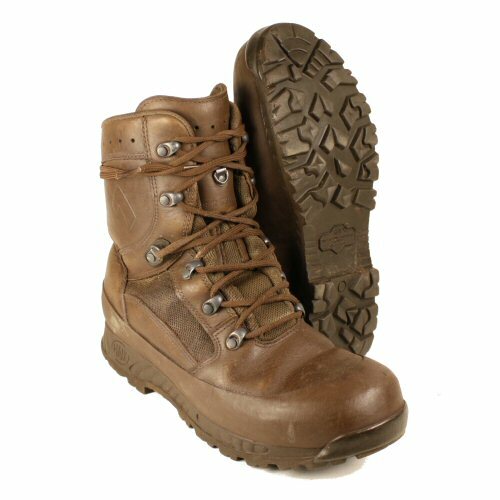 The boot features directly moulded sole with overlay over toe area to reduce wear from scuffing, breathable textile sections on foot and tongue, enclosed speed laces with locking eyelets at the ankle, rear loop to allow the boots to be pulled on quickly, waterproof and breathable lining, steel shank in sole for stability. 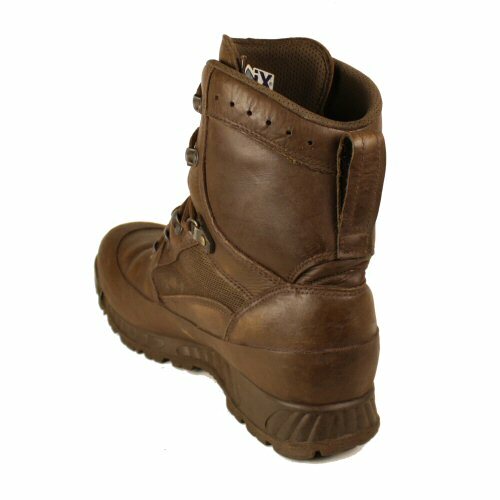 The dark brown colour can be worn with tactical and bushcraft clothing, Multicam and MTP uniform. The boot is medium leg with 6 eyelet pairs. Oil and fuel resistant, antistatic sole offers high grip and stability. Leather leg stabilises the wearer on the ground to enable better accuracy while shooting standing. Boots come with nylon laces and removable inner sole. Labelled HAIX on sole and tongue, with contract label, 'Boots, Combat, High Liability, Men's Brown'. Condition is used, good condition, no splits or repairs, low wear on sole, but with upper foot creasing and signs of wear. Available options are: 8 , 9 , 10 , 11 .